This will be a short post. I just returned from a day trip to Jackson (Mississippi) to visit my mother. She’s been at Lakeland Nursing Home for six years. During this time I’ve written many posts as I’ve watched Alzheimer’s Disease take over her brain and her life. Today I could barely wake her to get any response as I spoke with her. She was in bed, as she was when I visited last month. This is a new development. For most of the past six years she’s been up and dressed and out in the hall or the lobby or the dining room in her wheelchair, smiling and talking to whoever will listen. Today I wasn’t sure if she was even listening. 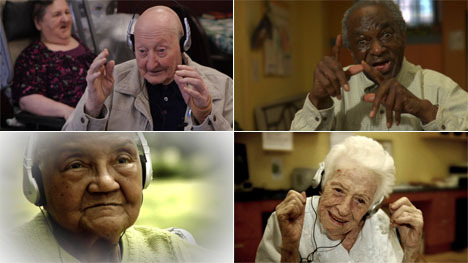 I just watched this film, “Alive Inside,” about how music can awaken people when they are slipping away. I’m thinking of putting together a playlist of songs that she might respond to and taking them with me on my next visit. If you are inclined to pray, that would be good. I am sorry to hear about your mom…My mom did that also…Slept and no response. It is a devastating disease for all involved..I am praying for you and your sweet mom…With love, Mary Eckert Zimmerman..
Sending prayers. Music is very powerful, although it is possible that your spoken words and even your presence are getting through on some level. It is so hard. Wishing you peace as you continue to deal with this wretched disease besieging your mom. Well Susan, she is how old? What would have been the music that she loved? For me, I am sick of hearing music from the ’60s and ’70s at the grocery. I just purchased on Amazon several multi-disc sets of recordings by some of my jazz favs: Dave Brubeck, Bill Evans and Wes Montgomery. Perhaps you might find some multi-disc set of music that she would have loved!